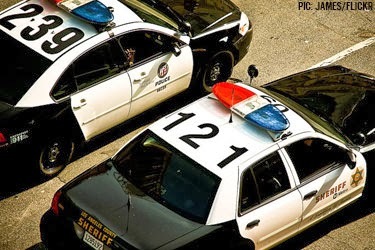 After claims of civil rights violations rampant in the L.A. county jails came to light following a two-year investigation, 18 of the city’s current and former sheriff’s deputies have been hit with an array of criminal charges; and 16 of those deputies — most of whom are still currently working in the department — were taken into custody by FBI agents yesterday. Four grand jury indictments include charges of unjustified detainments and beatings of not only jail inmates but jail visitors as well. One victim allegedly suffered a broken arm and dislocated shoulder that left him permanently disabled. According to the allegations, some of the deputies would have others file false reports to cover up their assaults.